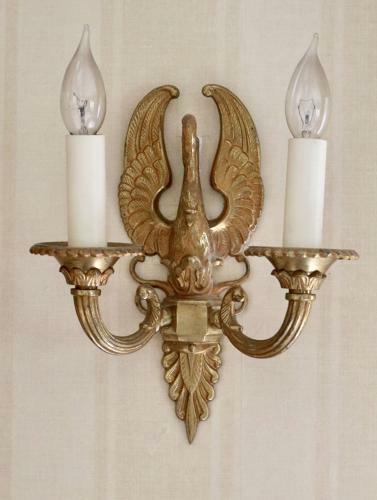 Very smart pair of bronze Swan motif wall lights. Photographed individually as they are on my wall! Never seen a similar pair.